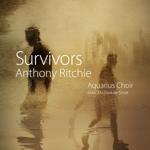 Moving a cappella settings of contemporary poems - music composed by Anthony Ritchie and performed by the superb Aquarius Choir of Belgium. Includes John Ritchie's Zhivago Songs and his last composition, the Clarinet Sonata, along with the moving song cycle Thoughts from an Inner Garden. 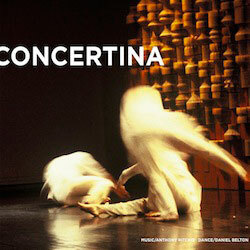 Recordings of dance music commissioned by Daniel Belton. Performers include Terence Dennis, Paula Smart & Anthony Ritchie. 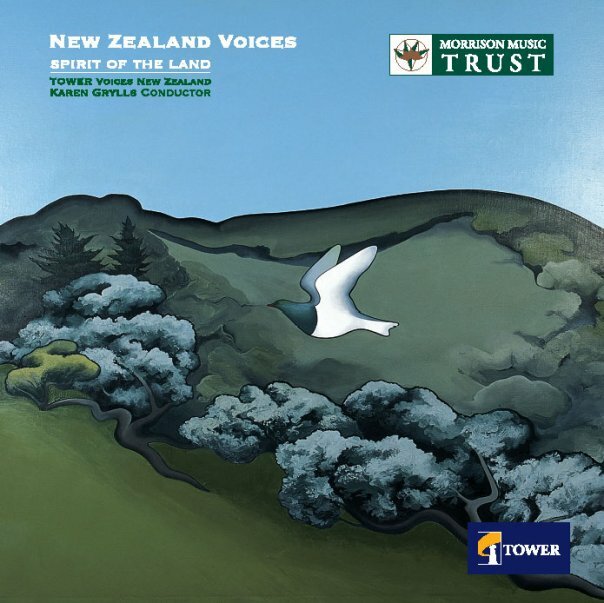 Collection of NZ music; performed by Tower New Zealand Voices. 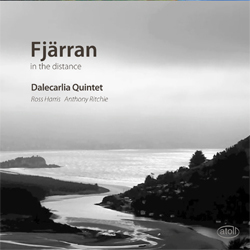 It received the Tui Classical Album of the Year. 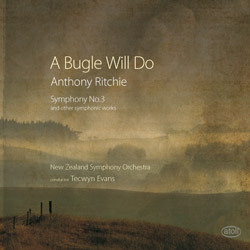 Features Symphony No.3 and three other compositions recorded by the New Zealand Symphony Orchestra, under maestro Tecwyn Evans. Contains 4 works from the last 6-7 years. A varied mix of edgy, colourful and thought-provoking music all superbly played and recorded. 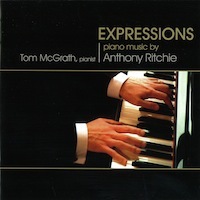 Piano music by Anthony; played by Tom McGrath. 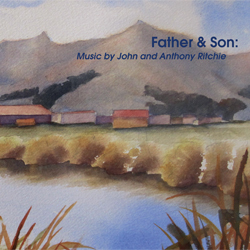 Ritchie songs sung by soprano Anna Leese and baritone Matthew Leese accompanied by Tom McGrath. 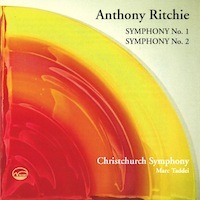 This Kiwi Pacific recording features the Christchurch Symphony conducted by Marc Taddei. 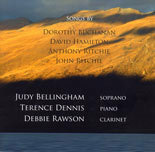 For soprano and piano; performed by Judy Bellingham & Terence Dennis. 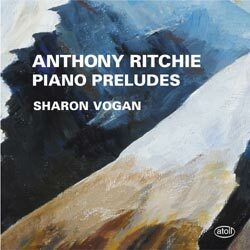 For piano; performed by Sharon Joy Vogan. 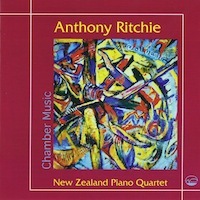 A selection of Anthony Ritchie chamber works. 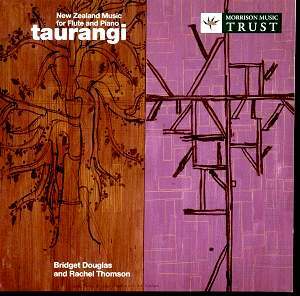 For solo flute; performed by Bridget Douglas and released on a CD called taurangi, a collection of New Zealand music for flute and piano. 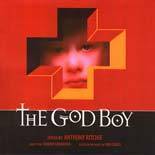 A studio recording made during the premier season of The God Boy in the Otago Festival of the Arts. 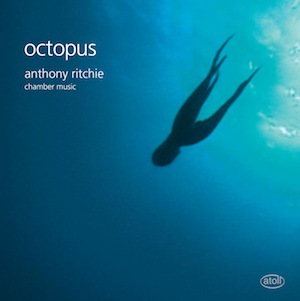 Sounz has a selection of Anthony Ritchie works for sale through their website. Click here for a more detailed list of recordings with track listings and commission details. For any other recordings, contact Anthony directly here. Three pieces for J.A.R. for piano (2016) performed by Emma Sayers at St Andrews-on-the Terraces, June 2016. Cheryl Cam has written a study guide to Hanging Bulb for Years 11 to 13 (Form 5 to 7) with accompanying CD. It is part of the SOUNZwrite series. SOUNZwrite is a series of study guides to works by New Zealand composers written especially for use in NZ schools. They are produced by the Centre for New Zealand Music and are written by composer and educator Cheryl Camm. Class sets of scores also available containing original and orchestrated version. Ears Wide Open : Taringa Areare has many activities which link to other arts disciplines - drama, dance and visual arts - and other areas of the curriculum including science, social studies and English. Each activity has suggested learning outcomes and assessment ideas.